A Pre-purchase inspection is usually performed after a property has been put on the Real Estate market by a Seller, but before a potential Buyer has taken possession of the property prior to the closing contract. The Buyer will usually sign a contingency agreement with the Seller prior to ordering this type of home inspection. If a property fails to meet the Buyer's expectations as a result of the home inspection, then the sale of the home could be jeopardized. In many cases, a Buyer's Inspection will help both the Buyer and the Seller to identify damages or other issues that may exist with a property so that both parties can either renegotiate the selling price or the Seller has the option of taking the responsibility of repairing the property at the Seller's expense, prior to close of escrow. Even if the Seller has already performed a Seller's Inspection and has a report from another home inspector, Buyers should always perform their own home inspection to prevent "Seller's bias" in any way, shape or form. I will perform a complete inspection of your prospective home, which includes evaluating over 400 items throughout the home. It normally takes me approximately 2 ½ to 3 ½ hours to complete the home inspection, depending on the size and the existing condition of the home. I will then produce your report on-site, which will contain every bit of detailed information about the home. All inspection reports are completed the same day and this report will then be handed to you at the conclusion of your home inspection. What Do I Inspect? Pre-Listing or "Seller" Inspections are normally performed by the Seller prior to listing their home on the real estate market, but it can also be performed while the home is actually listed. The earlier the Seller has this inspection performed, the more time they will have to make needed or wanted repairs. This will decrease the likelihood of a long list of repair requests from the Buyer's side, which in turn, will speed up the sale and the closing process. All Pre-Listing inspection reports are completed the same day and will be handed to you at the conclusion of the home inspection. An infrared inspection is a non-invasive predictive maintenance technique that uses an infrared imaging and measurement camera to "see" and "measure" thermal energy emitted from surfaces within a building. Infrared cameras see "heat" (our eyes see "light"), and therefore infrared cameras (by definition) can see what our eyes cannot see. I utilize this infrared camera to locate an array of building conditions. Combined with my traditional home inspection techniques, the infrared inspection method reveals substantially more of the house than can be perceived by the naked eye and many conventional inspection tools. Don't settle for a standard visual home inspection that may overlook hidden problems! Thermal imaging exposes potential problems in living color. New Construction inspections are usually performed immediately after your new home has been built and is considered "ready" for occupancy by the builder and appropriate legal authorities (such as a zoning or code inspector). I will perform a complete inspection of the new home and components. Even though the components are brand new, my inspection procedures are the same as they are in the older homes. It will include evaluating more than 400 items throughout the home. It normally takes me approximately 2 ½ to 3 ½ hours to complete this inspection, depending on the size of the home and the builder’s workmanship. I will then produce your inspection report on-site which will contain all the detailed information about your prospective home. 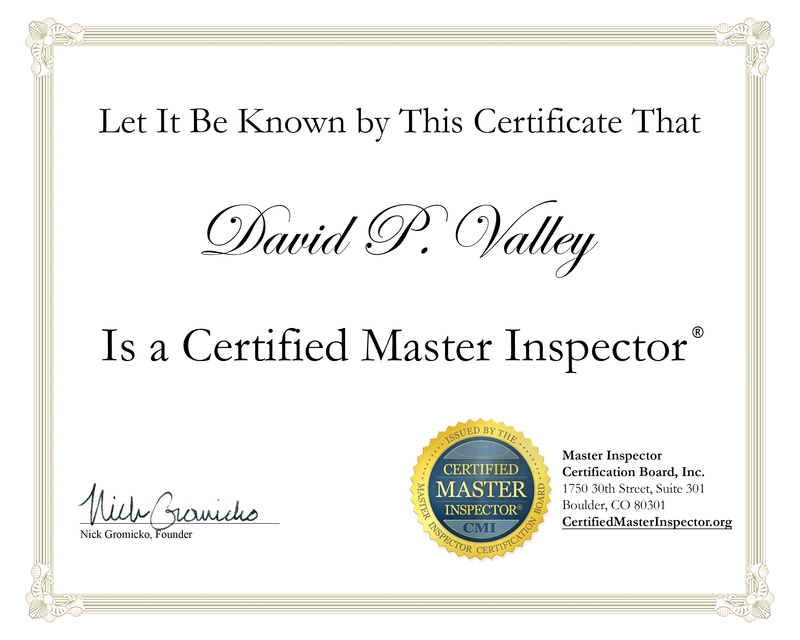 All inspection reports are completed the same day and will be handed to you at the conclusion of the home inspection. New Homes - A warranty inspection is performed prior to the 1-year expiration of your newly built home warranty that was provided to you by your builder at your closing. A warranty inspection is used to take advantage of the features and benefits of your home warranty to assure that necessary repairs guaranteed under your builder’s warranty are executed, should I discover any existing issues or problems. I will perform a complete inspection of your new home, which includes evaluating over 400 items throughout the home. All warranty inspection reports are completed the same day and will be handed to you at the conclusion of the home inspection. A Commercial inspection is a detailed visual inspection of the building's structure (inside and out) and the mechanical systems within. I will be performing an objective examination of your prospective building and property to assure you that its existing condition meets your approval. Knowing the condition of a commercial building will allow you to budget more accurately and provide for expenditures down the road -- whether it's a new roof, replacing an HVAC system or simple maintenance or safety related items. Chances are you've either already made a large investment or you're about to…and if you didn't have the building inspected before you close on escrow, you may have to dig further into your pocket later, in order to bring the building back up to today’s standards. I fully understand that you have a business to run and the last thing you need (as a Buyer or property manager) is surprises. Whether you own, are about to lease, or, are purchasing a commercial building, don't wait until you take ownership to find out what condition the building's systems and components are really in. I will slowly walk you through any size commercial property and show you what you are actually getting into. No one likes last minute surprises, especially on such a huge investment. That's why an inspection is intended to show you the actual condition of the building and property, which reduces your risk. It is possible that I may dispel your beliefs about the condition of the building and property. If this is not the case, and I confirm your beliefs about its condition, then you can take comfort in knowing that too. All Commercial inspection reports are completed the same day and will be handed to you at the conclusion of the building inspection. Periodic Maintenance Inspections are best if performed every two years, to assure the health and safety of you and your family and to protect the security of your real estate investment. All New England structures will get weathered and worn down over time from our heavy seasonal rains, and the windy blizzards, so Periodic Maintenance Inspections are necessary in order to assure the integrity of your structure. 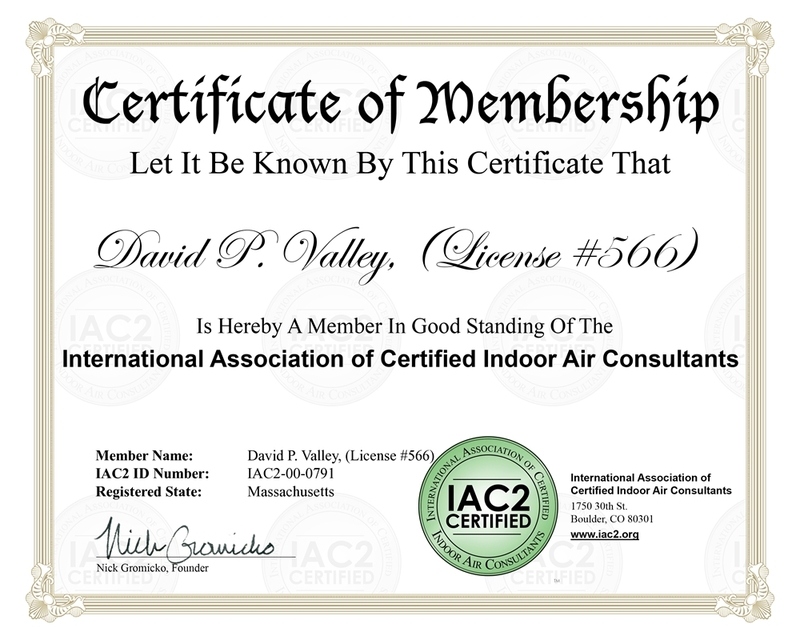 While performing your maintenance inspection, I can also identify possible indoor pollutants such as Radon, dangerous Carbon monoxide levels, and Mold build-up. I will also evaluate your building's integrity by inspecting crucial components that could be compromised by cracked or stressed beams or one of many foundation issues. I can also visually inspect for Termites or other wood-destroying insects that can destroy your home without you even knowing it. Any of these situations can contribute to a decrease in your home’s value and can pose a significant physical risk to you and your family if not identified in a timely manner. All Periodic Maintenance Reports are completed on the same day and will be handed to you at the conclusion of the home inspection. Pre-Renovation Inspections are performed prior to engaging in any renovations of a property. Pre-renovation Inspections help you to assess potential problems that may affect the cost or difficulty of your intended renovation. All reports are completed the same day and will be handed to you at the conclusion of the home inspection. Investigative Inspections are most-often used when a homeowner feels that a problem may exist on their property. 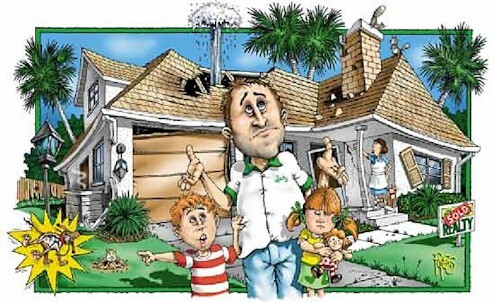 For example, you may want to engage in an Investigative Inspection after a hurricane with heavy winds and rain or a blizzard, if you experience an odd smell in your home that cannot be identified, or if you notice unusual pest and insect activity. In many cases, Investigative Inspections can help homeowners to catch problems before they become an expensive or irreversible liability. All reports are completed the same day and will be handed to you at the conclusion of the home inspection. I can actually test your home for drug residues that were left behind within the home and its components. This test will detect whether or not anyone has ever made, distributed or used specific drugs in that particular home or area of the home in the past. My drug testing tool is patented technology that can instantly detect and identify 5 major types of illegal narcotics on any non-porous surface within a home. It gives me the ability to detect trace amounts of Cocaine, Amphetamine or Methamphetamine, Opiates (Heroin), and Marijuana down to the nanogram (almost invisible) level. Your report will be completed the same day and will be handed to you at the conclusion of the inspection. All brand new homes should be inspected by an independent professional inspector. There are 3 very important phases of home construction that need to be thoroughly inspected. The first phase is the foundation inspection. This is the very base that your house is built on. If there are issues relating to your foundation, your home’s structural integrity will be compromised and will cost thousands of dollars if you find defects at a later date. The second phase is the pre-drywall inspection. This allows the inspection of everything that will soon be hidden by the walls and ceiling finishes. You want this inspected now, because any issues in these walls that is discovered later, will require the walls to be removed. The third and final inspection is performed when the home is complete. My complete and detailed new construction inspection will provide an unbiased professional opinion of defects that should be corrected by the builder. Costs for these particular inspections will vary according to the number of visits, so please call for pricing. All reports are completed after each phase and will be handed to you the same day of each phase inspection. Bank Loan Inspections are required by all Lending Institutions to determine the amount of work that has been completed at a construction site so that the Borrower (a Construction Company or Home Builder) can draw on their loan. I provide this inspection service to construction lenders throughout the United States. I act as the eyes and ears for Lending institutions that are prepared to commence on a partial payment of a construction loan for residential and commercial buildings. I basically report on the current condition of a construction site by providing Lenders with an accurate snapshot of each building that is under construction or ready for renovation. All bank draw inspections are performed and the reports are submitted to the Lending institution within hours of being requested. A rental property inspection is performed when property owners have tenants moving in or out of their rental apartments or homes and they would like to document the existing condition of their property from negligence. I act as the eyes and ears for the Landlord and report my honest, independent and unbiased views of the living areas of the home. I will be reporting on safety issues, fire issues, holes in walls/ceilings, missing appliances, inoperative or unsafe electrical, etc.